GREAT NEW PRICE! OWNER WANTS OFFER! Fall in love with this 4 year old 4,000+ sq ft home with a luxurious 1st floor master suite and open concept entertaining areas! The expansive kitchen is the heart of the home. Enjoy a dramatic 6âx 6â center island, granite countertops, and lovely 42â cabinets; all opening to a 1st floor laundry, hearth room with stone fireplace, dining area, and family room with 11â ceilings. 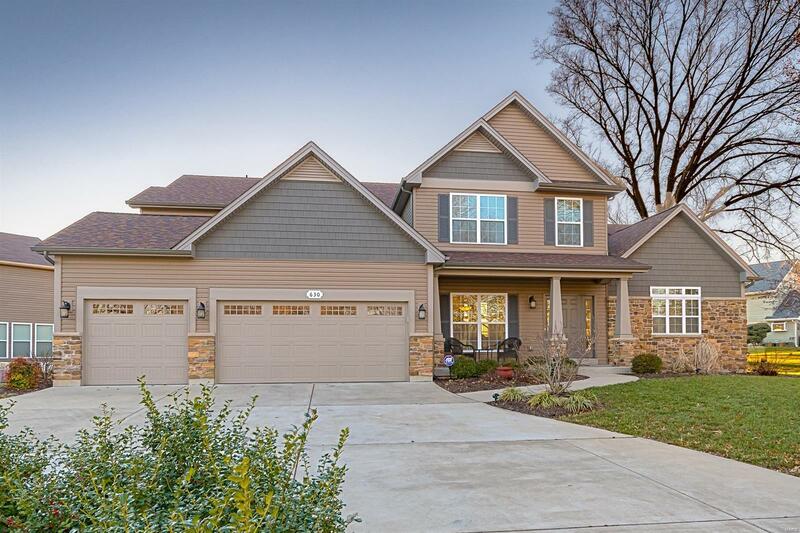 Master suite has coffered ceiling, walk in closet, and adjoins the master bath with vaulted ceiling, dual vanities, soaking tub, and large shower. Upstairs are 3 large bedrooms, a Jack and Jill bath and hall bath. There is a 2nd floor family room for additional gathering space. The LL has many possibilities with 9'ceilings and egress window. Enjoy the elegant patio with pergola for friendly outdoor entertaining. Zoned HVAC, wired sound system, alarm system, irrigation system, 3 car garage, and Rockwood Schools! Owner offering buyer $2500 in closing costs for suitable contract.